I know, I know... it's Saturday and I normally post meal plans on Monday. But I have to give you cake on Monday. I know, it's terrible to have to have cake, but it is Cake Slice day. So there is no choice, I must give you cake. Tomorrow I am cooking with the Sunday Supper tastemakers and we are sharing easy spring recipes. So that leaves today! 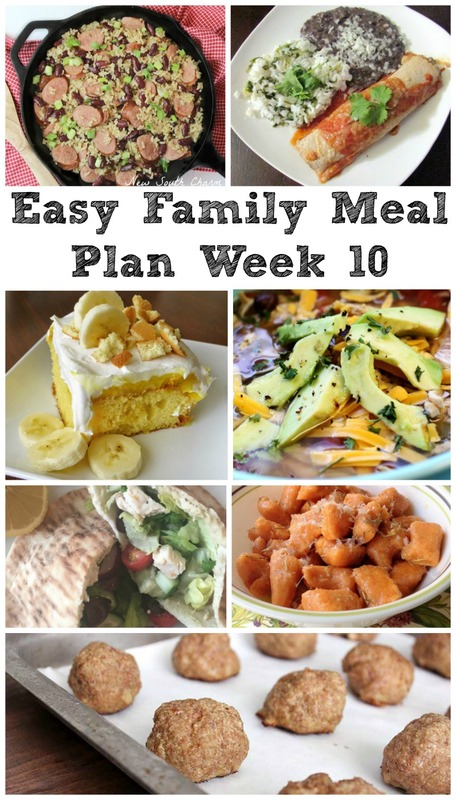 I am half tempted to move the meal plans to Saturday anyway, leaving you a bit more time to actually plan and shop if you want to cook along. What do you think? Either way, this week's lineup looks delicious! We are actually doing our St. Patrick's Day celebration tonight at family dinner. MiMi bought 5 corned beef sections.... 5!! So I am sure I am going to be ready to start off the week on a lighter note. 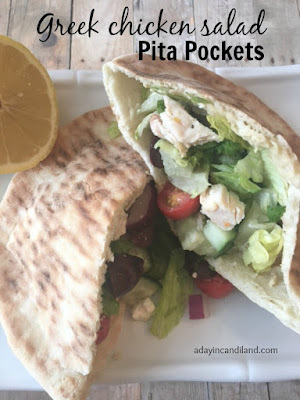 These Grilled Chicken Salad Pita Pockets from A Day in Candiland look like a great way to come down off of all that corned beef and cabbage! 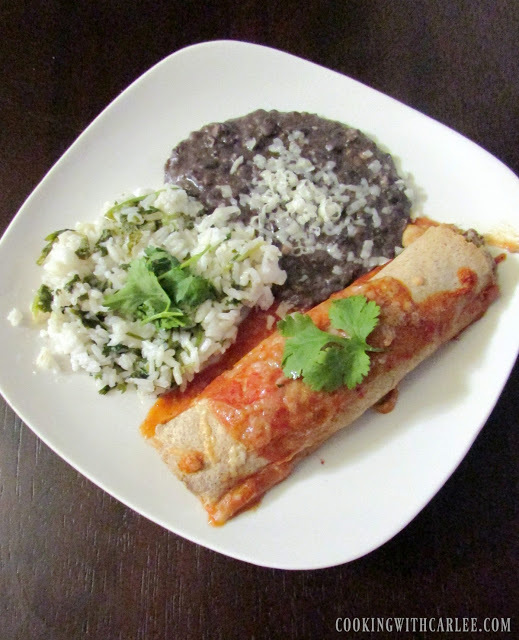 Next up we'll have my sister-in-law's recipe for Chicken Enchiladas. I make the sauce the night before and the filling in the slow cooker while I'm at work. All I have to do when I get home is roll them up and bake them. They are so full of flavor! 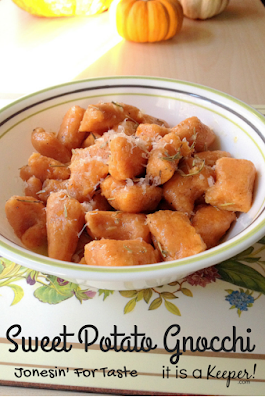 I'll have to admit, I have never made homemade gnocchi but it is definitely on my bucket list. This Sweet Potato Gnocchi from Jonesin' for Taste looks amazing! 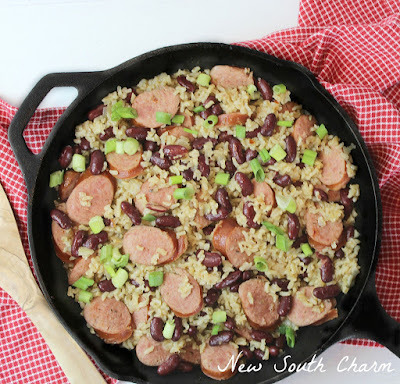 I am a sucker for a meal in a cast iron skillet, so I can't wait to try this Easy Red Beans and Rice recipe from New South Charm. 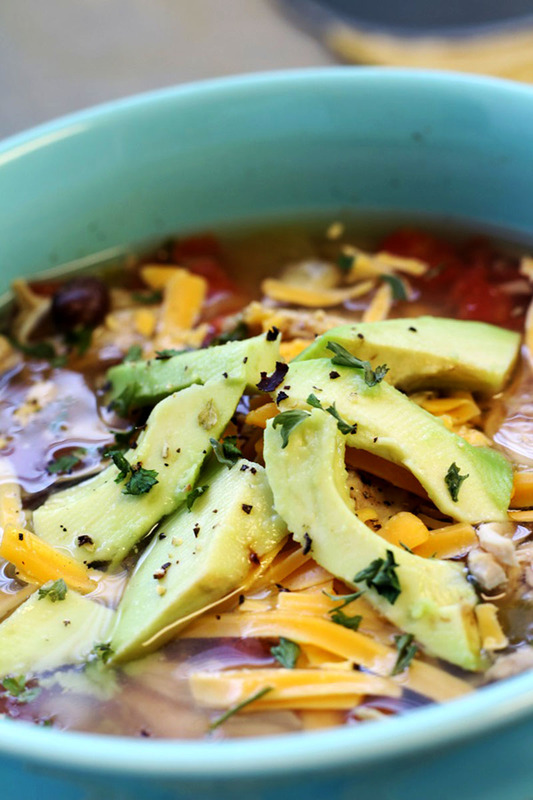 This Chicken Avocado Tortilla Soup from Recipe Treasures has a lot of my favorite flavors. What a great way to round out a busy week! Now it's time to make meatballs! 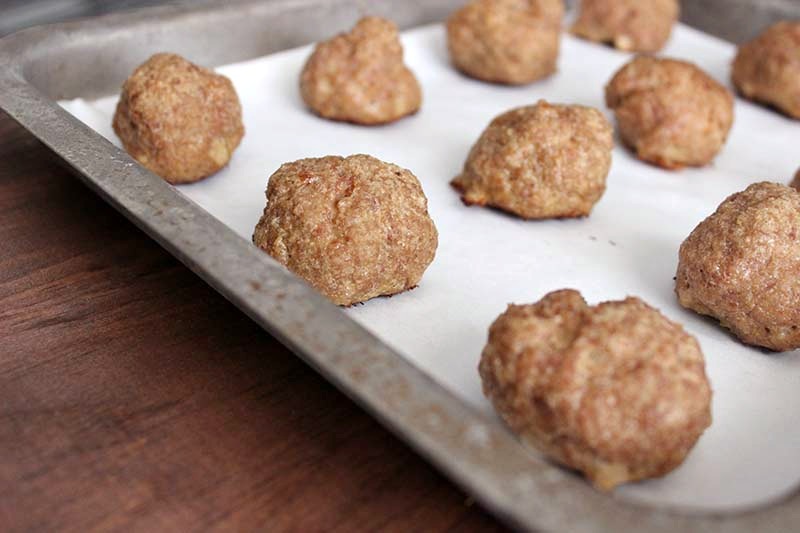 Homemade Turkey Meatballs from Budget Girl to be exact. There are so many great things you could do with them. 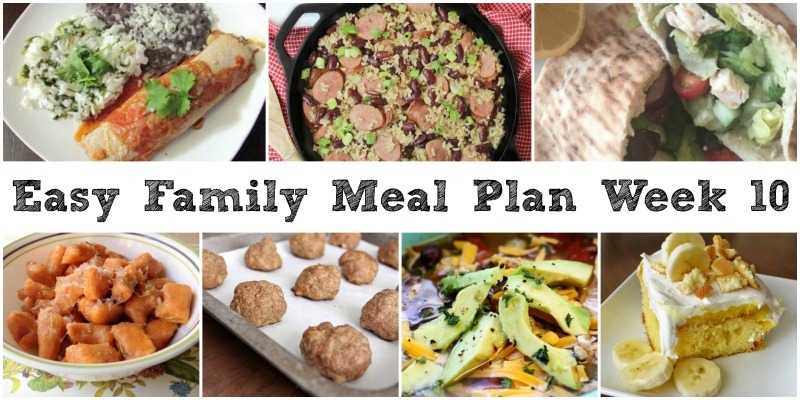 What are your favorite ways to eat meatballs? And now for my favorite part, dessert! 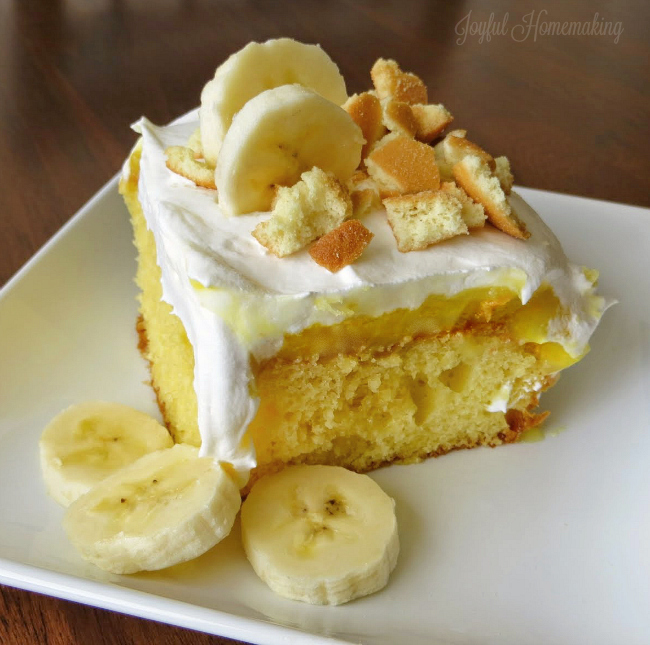 Doesn't this Banana Pudding Poke Cake from Joyful Homemaking look amazing? We can't mess with the cake! Thanks, Andrea!